ANAMIKA SINGH infuses passion into tea and Tanveer Kwatra has mastered the art of turning everyday food into extraordinary creations. 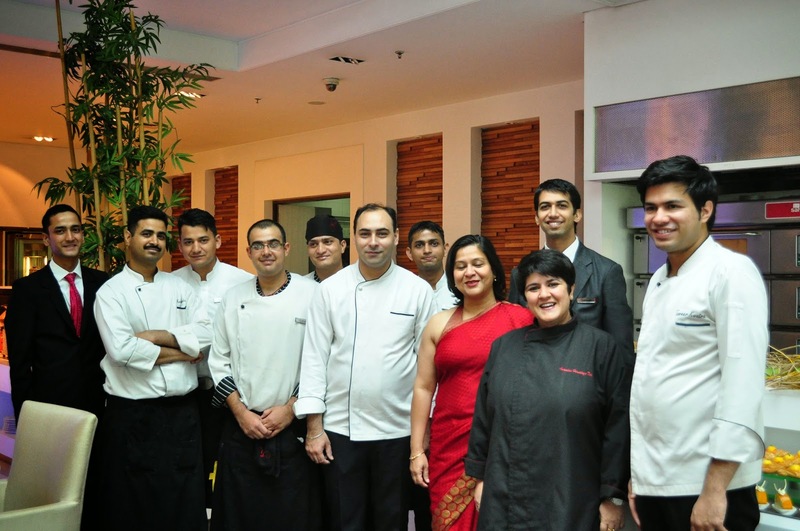 When the two announced that they were coming together on what turned out to be a rain-swept afternoon at Sen5es, the all-day restaurant at Pullman Gurgaon Central Park, there was bound to be some serious gourmet action. roasted coriander and mango salad. All images courtesy of Anamika Singh. So, I rushed from a food tasting at Fio Cookhouse and Bar at Epicuria, Nehru Place, where I was over-indulged by the naturally hospitable Vineet Wadhwa, sleeping through the one-hour drive (the Anakena Sauvignon Blanc had had a soporific effect!). The nap had a miraculous effect on my senses, as did Anamika's natural warmth and the presence of a number of friends, including the accomplished bloggers Parul Pratap Shirazi (The Shirazine) and Nachiketa Chandra (The Variable Nachiketa). Together, these multiple good influences prepared me for the treat ahead. And what a treat it was. I have often wondered if there were ways of having iced tea apart from falling back on the instant-use concoctions flooding the market, but Anamika, who has turned Anandini Himalaya Tea at Shahpur Jat into a destination for connoisseurs, showed us the immense possibilities of a drink with a huge potential in India. With Anamika working really hard to promote her Anandini Tea Club, and with some of the city's leading restaurants backing her initiative (she last did an event at Guppy by Ai), I'm sure it'll happen faster than we can imagine. She first served a green tea with mangoes, peaches and ginger (the third ingredient uplifted the flavour profile, releasing it from the burden of predictability). Then came a fuller-bodied autumn flush tea with fresh lychees and chilli, followed by the most popular aam panna with green tea and black salt -- it may have been a delightfully unusual combination, but the balance of flavours was so delicate that it instantly won our heart. Kwatra, meanwhile, had laid out a delectable spread centred around mangoes. When I dug into his reinterpretation of the palak patta chaat with quinoa, pine nuts and mango salad, I knew the best was yet to come. 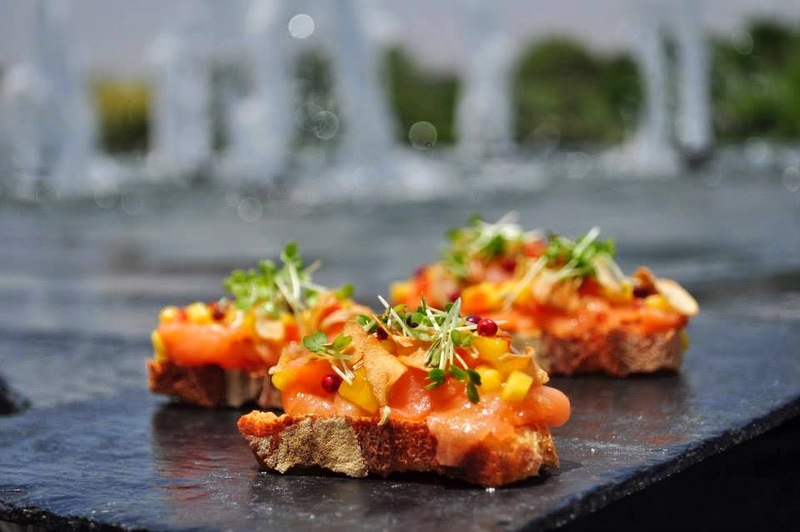 The guests were drooling over the BBQ pork and raw mango taco, I loved the ceviche of salmon on toasted bread with chilli roasted coriander and mango vinaigrette. 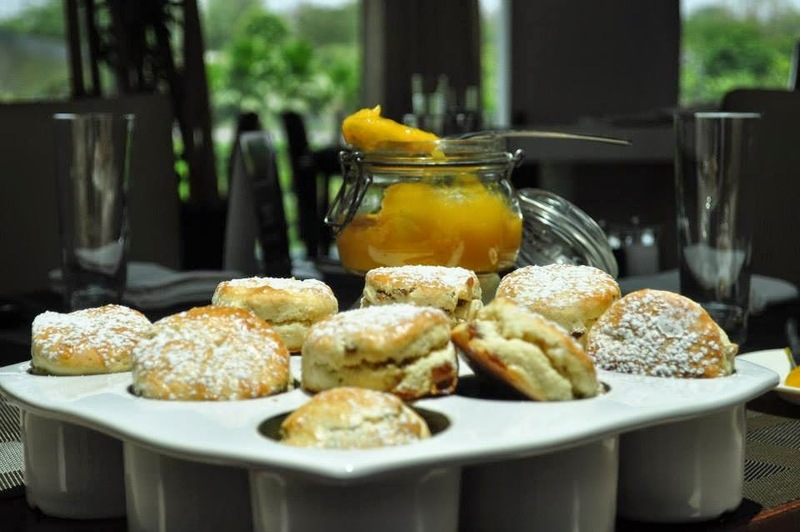 My other favourites were the mango rice pudding (a preparation I won't forget in a hurry) and raisin-studded scones served with mango marmalade. I could have had a jar full of that mango marmalade! People around me were 'just loving' the smoked chicken and rocket sandwich, and I was eyeing the Mango Danish and Mango Swiss Rolls, but my stomach was working at a '110 per cent load factor'! With the mango season in full bloom, having a 'Mangolicious Tea' was a brilliant idea. And if a brilliant idea is executed with perfection, it can only be a symphony of finer tastes. No material appearing on this blog may be used without the prior written permission of its author. Picture Window theme. Powered by Blogger.